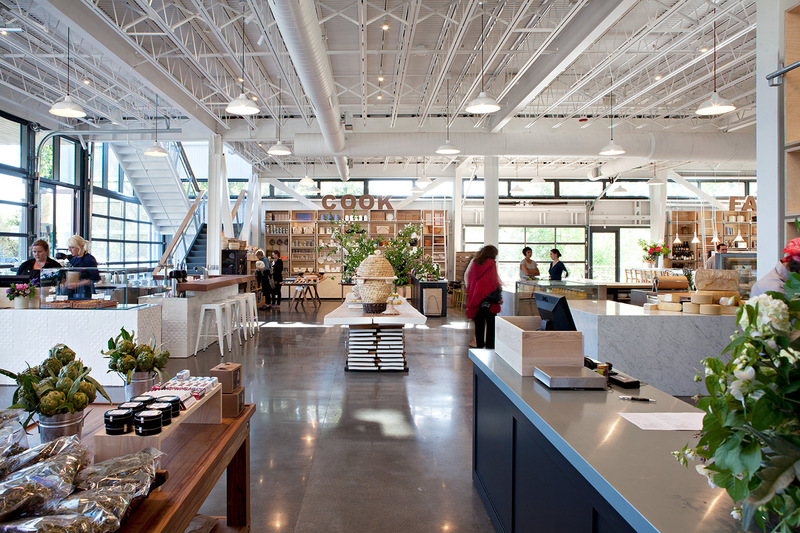 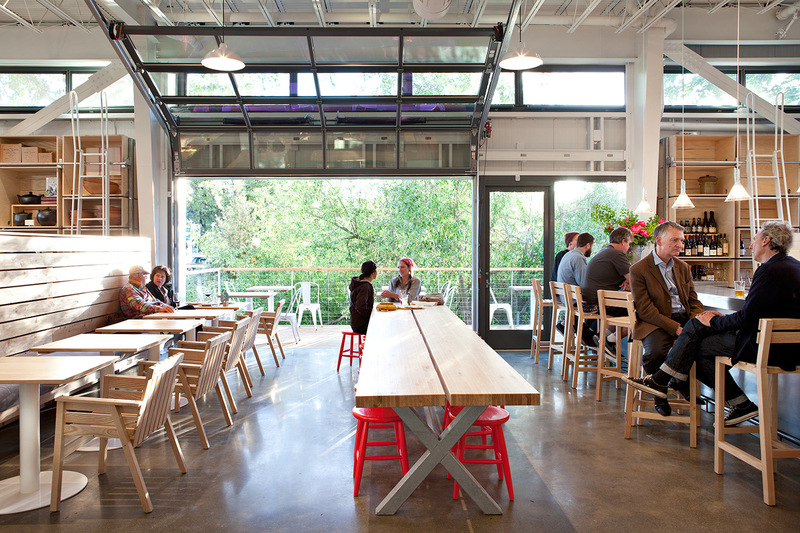 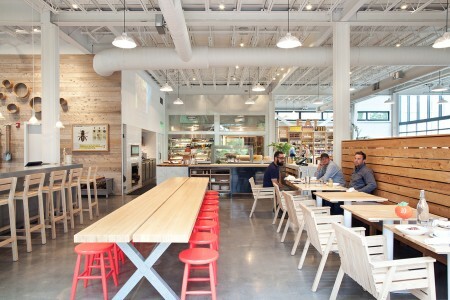 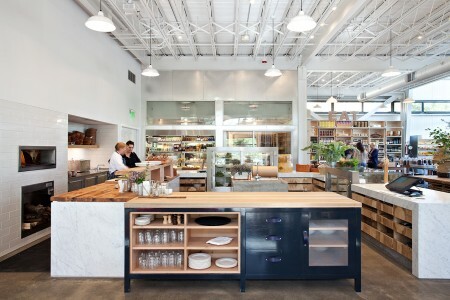 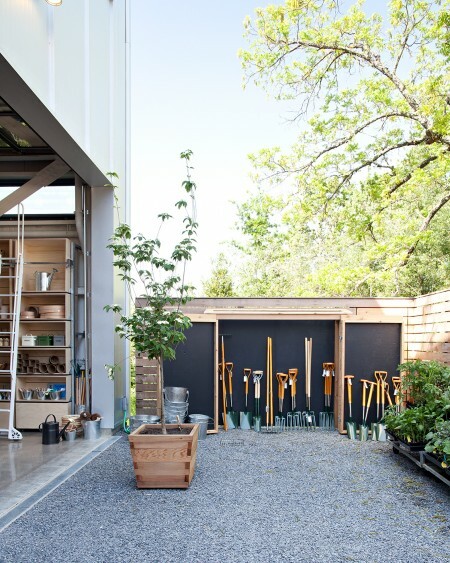 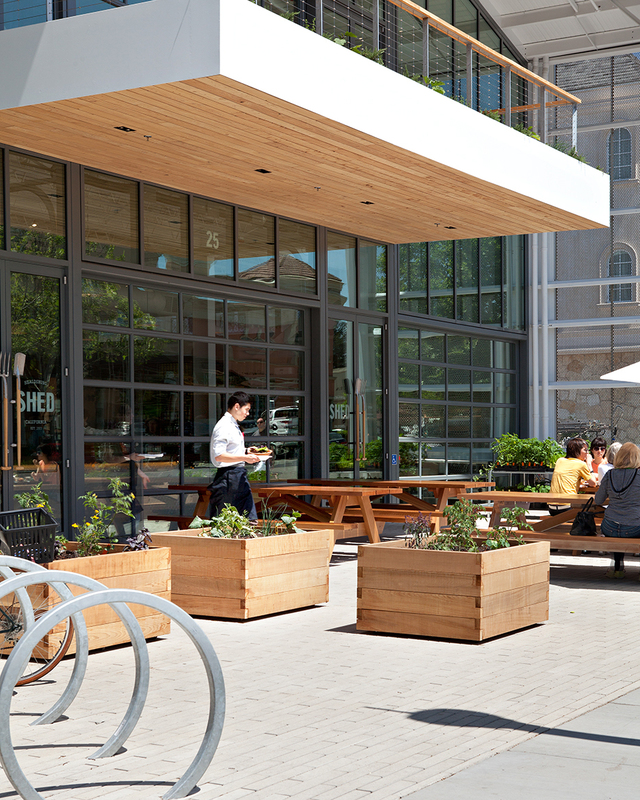 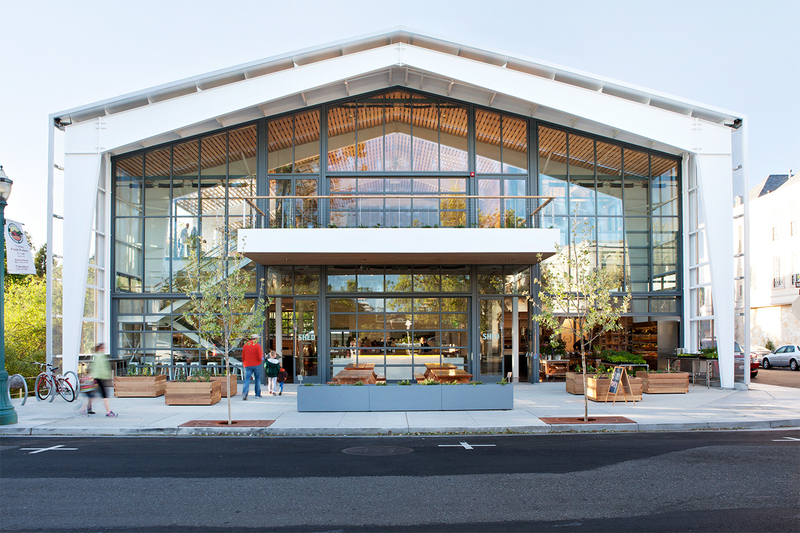 About/ Shed Store and Cafe – A place to share food, stories and local knowledge, this modern interpretation of the traditional barn typology houses a market café, mercantile store, and meeting space. 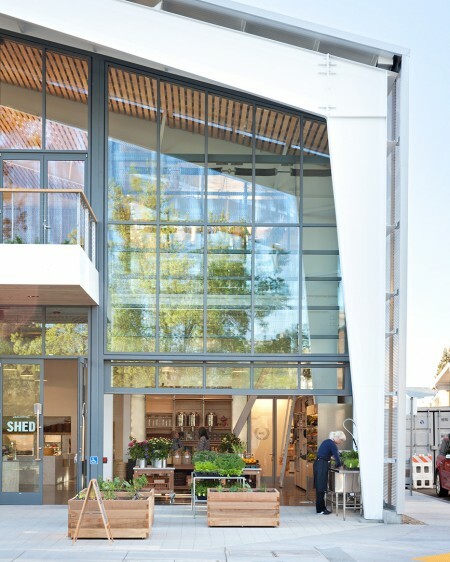 Sustainability is central to the design, which incorporates a resource efficient prefabricated metal structure, thermally efficient insulated metal panel cladding, and a naturally ventilated interior. 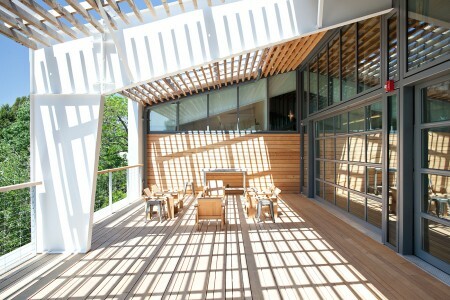 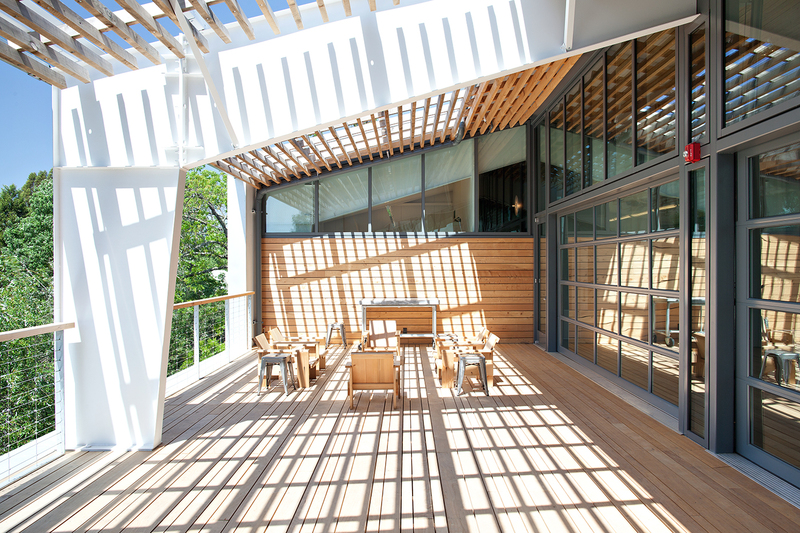 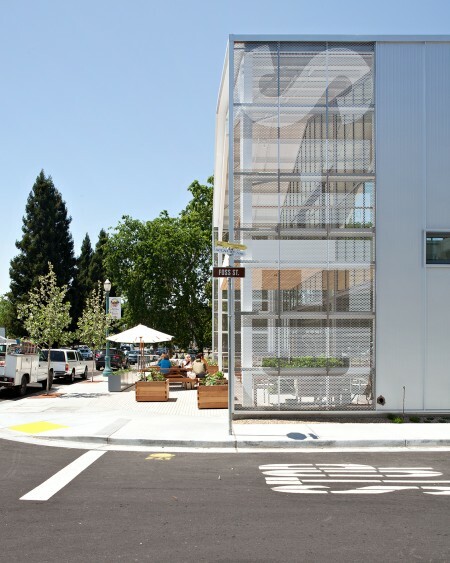 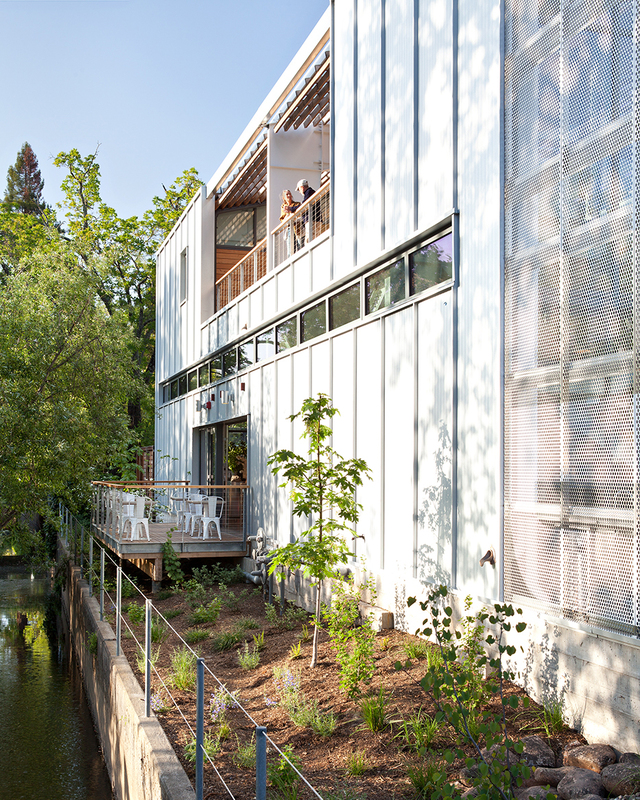 Glazed garage doors on two levels open up the interior to the outdoors, connecting occupants to the street life in front, and to the restored creek-side riparian habitat along the building’s west facade.